Palaia is an agricultural centre in the province of Pisa, set in the lower Valley of the Arno river. 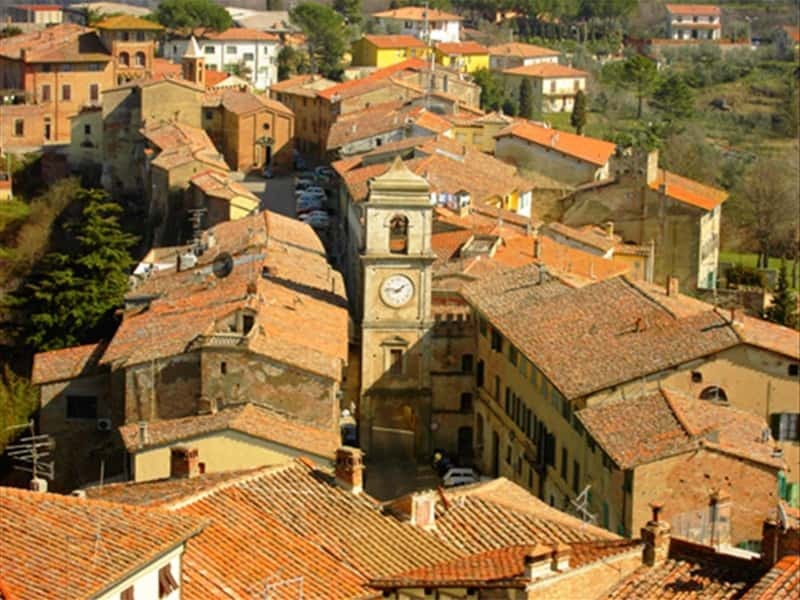 Of probably Etruscan-Roman origins, the village developed during the Early Middle Age and was mentioned for the first time ina document dated 980. During the Middle Ages the castle of Palaia was quarrelled among the powerful cities of Florence, Pisa and Lucca, all of them wanting to extend their jurisdiction to Palaia, being this latter placed in a strategic position in the valley of the rivers Arno and Era. The quarrel ended with the intervention of the German emperors: first in 1191, by the action of Enrico VI, then in 1209 by Ottone IV and lastly by Carlo IV who assigned the political jurisdiction to the Republic of Pisa whereas the property of the castle of Palaia to the Bishops of Lucca. Among the most important historical and artistical monuments, we have to mention the Church of San Martino, in Romanesque-Gothic style with small arches, the ancient Church of Sant'Andrea, the medieval gate of the town, above which a cuspidate bell tower stands. This town web page has been visited 20,772 times.